Want to examine and explore an important piece of American history? If so, you should definitely visit Pearl Harbor. The harbor is a National Historic Landmark. Two million visitors come here each year, making it one of the most popular attractions in Hawaii. Here, you can learn about World War II and US Naval history. Visit a swath of unique museums. Then board a ferry to see the Arizona Memorial. Pearl Harbor is on Oahu, the halfway point between the continental United States and Japan. The harbor serves as the headquarters for the U.S. Pacific Fleet. The harbor became an important part of American history on December 7, 1941. This was when Japanese naval planes attacked the US fleet. They damaged and sunk many war ships and left 1,177 members of the USS Arizona’s crew dead. Since then, the wreckage of the USS Arizona has been transformed into a memorial, honoring those who died. Tours of the Arizona Memorial last for about an hour and fifteen minute. The tour includes and a 23-minute documentary on the history of Pearl Harbor. After that, you’ll take a short boat ride to and from the memorial. Admittance to the USS Arizona Memorial is free. But the number of daily tickets are limited. So, if you would like to see the memorial, it will be important to arrive early. Tours begin as early as 6:00 am. USS Missouri and the Arizona Memorial off Ford Island. 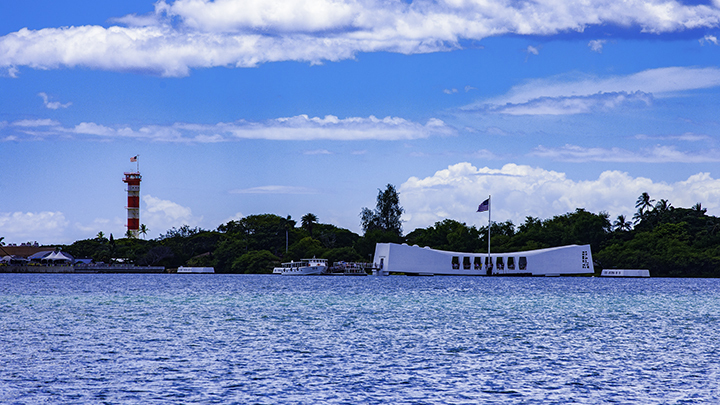 Don’t just limit yourself to the Arizona Memorial when you visit Pearl Harbor. Few know the area is part of the multi-state World War II Valor in the Pacific National Monument. 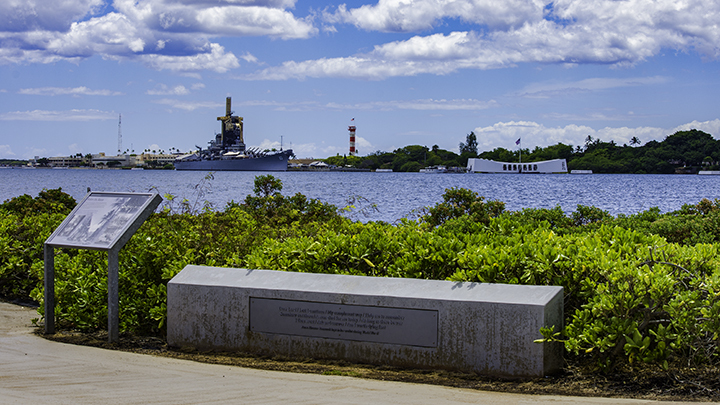 Pearl Harbor is also home to a number of other monuments and museums. 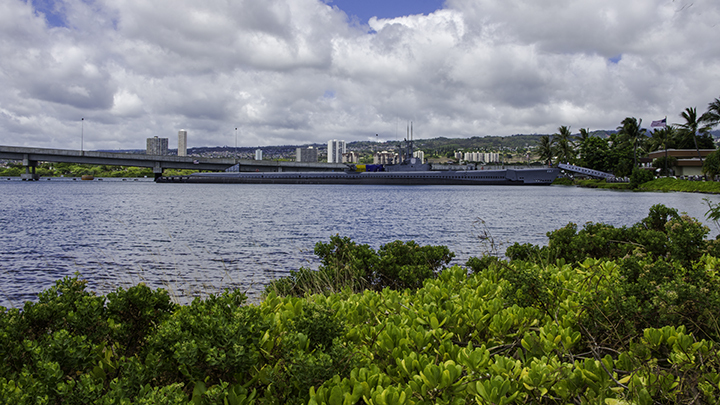 This includes the Battleship Missouri Memorial, Pacific Aviation Museum and USS Bowfin Submarine Museum and Park. You can purchase tickets to all four sites at the Visitor Center. You can also buy tickets to the USS Missouri and Pacific Aviation Museum online. Pearl Harbor is an active military base. As a result, visitors cannot enter many parts of the harbor. Also you cannot bring bags, satchels, purses, etc. on the tour. But you can can store them at the Visitor’s Center. Or you can also store them at the USS Bowfin Submarine Museum and Park for $3.